This guide is a companion to support our Excel client discovery checklist. This guides agencies through 9 areas of activity that could form ‘discovery’. This guide is an update of that, with some additional narrative. It will firstly, help you create or review your process for learning about clients and their customers’ needs. It will then let you identify the right questions to ask and thus improve proposal win rates or deliver a better outcome for existing clients by proposing more relevant solutions. The term discovery is synonymous with ‘research’ but also overlays that research with the reflection (from individuals or in teams) that provide insights – those eureka moments, where you resolve something that perhaps the client hasn't seen and that helps you create effective web solutions and / or digital campaigns. 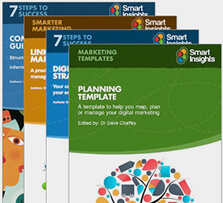 It's a practical and actionable guide which takes you through each step. 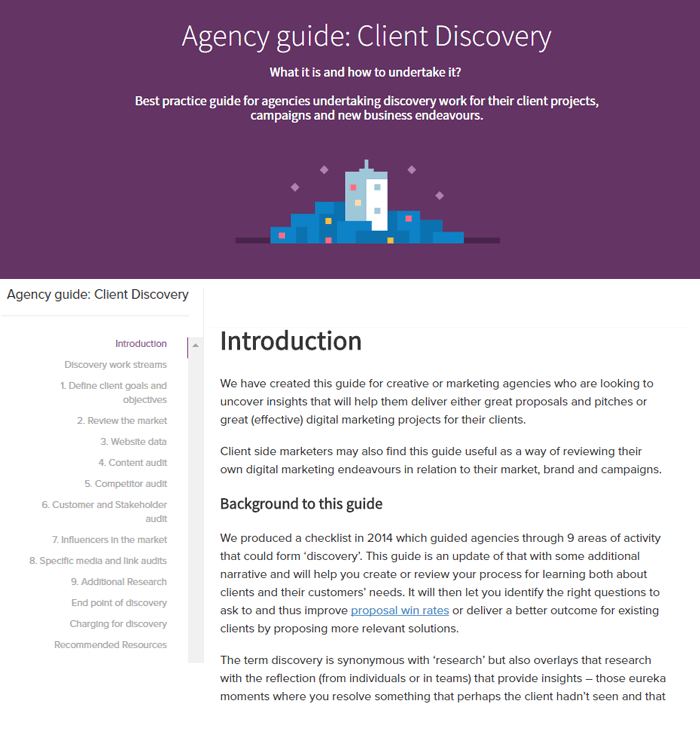 Client side marketers may also find this guide useful as a way of reviewing their own digital marketing endeavors in relation to their market, brand and campaigns. 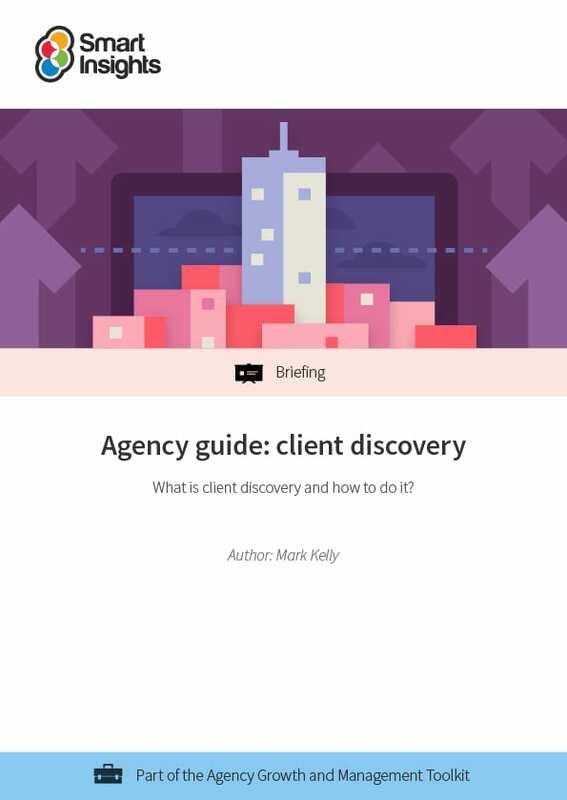 The guide is structured based on 9 steps you can follow to client discovery excellence.